Thank you everyone for your active participation in this survey -we’ve had hundreds of people respond within just 2 days, and the survey is now closed! In fact so many people responded that they thought it was a mistake (verbal apraxia being a “rare disorder” and all) Again thank you so much everyone! Awesome opportunity to help raise awareness about the need for apraxia research, as well as to help research what ever your child’s rare condition is if not verbal apraxia (which is included in the list for rare disorders) It is requested that each person that wishes to participate has to be emailed by Cherab directly with Patient-Centered Outcomes Research Institute (PCORI)http://www.pcori.org/ copied on the email so they have a copy of each participant in this survey. As you will see in the letter below however, your participation is anonymous. If you are interested in participating, which I so hope you are. Please fill out the form below and we will get you the information for the survey which should only take you around 10-15 minutes to complete. We all know there is a tremendous need for apraxia studies, now is the chance to tell those who can make a difference! And again I’m aware there are members here who have other rare disorders, this survey is for you too!!! “Our organization is partnering with the Patient-Centered Outcomes Research Institute (PCORI) and the American Institutes for Research (AIR) to conduct the Caregiver Survey. This is to help us understand your views about medical research and your interest in helping researchers decide what topics are studied. PCORI is an independent, nonprofit organization that was established in 2010 by Congress to fund research that will provide patients, their caregivers, and healthcare providers with the evidence-based information they need to make fully informed decisions. PCORI will use the information from this survey to decide what research to fund and make sure that it addresses topics that are important to you and other caregivers. The survey is intended for caregivers of patients in the United States who are diagnosed with a rare disease. Caregivers – those family members and friends who assist in or support decisions related to the care for patients with rare conditions – are important stakeholders in patient-centered comparative effectiveness research. Since we serve people with Verbal Apraxia, we have agreed to assist with this survey by sending you this invitation to participate. Please visit https://cherabfoundation.org//2015/apraxia-research-survey/ and fill in your name and email to get the survey which should take around 15 minutes to complete. 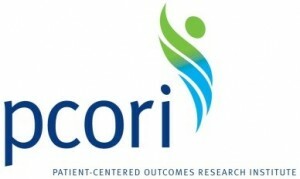 Your participation in this survey is voluntary, and will not affect any future interactions with PCORI. All of your responses are anonymous, meaning we cannot trace the answer back to you. At the end of the survey, you will have an opportunity to provide your email address to receive a $5 dollar electronic gift card for Amazon.com.